Looking for great Arlington restaurants? Head down to Cooper St Commons and discover restaurants and eateries the whole family will love! Jamaica Gates, Kizyen Filipino Cuisine and more call Cooper St Commons home! Cooper St Commons is offered by Weitzman. Weitzman is one of the leading commercial real estate companies in North Texas. Weitzman offers a full range of Commercial Real Estate services including Project Representation, Tenant Representation and Investment Sales and is also a leading Asset Management and Development Services Commercial Real Estate firm. Pampering yourself every other week is a form of relaxation, and it’s a necessity (ask any woman!). Finding the right nail salon for you is essential for ‘you time.’ It’s a bonus when you can go back and see the same technician every time also! If you are looking for a nail salon in Arlington, look no further than Good Hands Foot Spa. Offering five-star service, hygiene, and the upmost relaxation, Good Hands Foot Spa is a must for every Arlington girl. Although visiting the nail salon is a must for healthy nails, there are steps you can take at home to ensure your nails are at their best. Keeping your hands dry and clean helps to avoid bacteria under your nails. Make sure you wear gloves when cleaning and keep your hands dry as much as possible. Household supplies can be rough on our nails. Take precaution when cleaning, especially washing the dishes, scrubbing the bathroom, and cleaning in general. 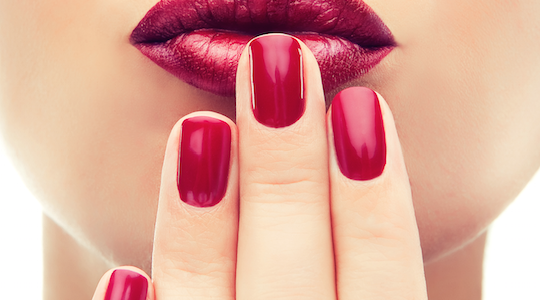 Always wear gloves, so your nails and skin are protected from these strong substances. Nail strengtheners don’t have to be harsh, in fact, there are many natural vitamins and supplements that will help your nails become stronger and healthier. Do your research on this and ask your doctor what would work best for you. Pamper yourself at Good Hands Foot Spa, your new nail salon in Arlington. Call them today to make a booking on (817) 583-6065.